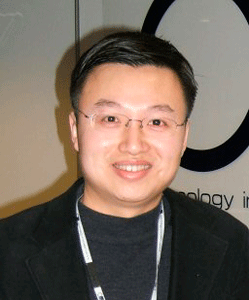 Yonghao Wang, Senior Lecturer at Centre of Digital Media Technology of Birmingham City University, UK. Yonghao’s current research is in psychoacoustic informed digital filter design for high resolution audio processing and low latency live audio/video networking. He is member of IEEE and AES, committee member of AES standardization of digital audio interface (SC-02-02), digital audio networking (SC-02-12), and Committee Member of AES High Resolution Audio technical council.